Facebook’s lack of a dislike button is no surprise: our public sphere is structured to favor approval and consent over disapproval and dissent. 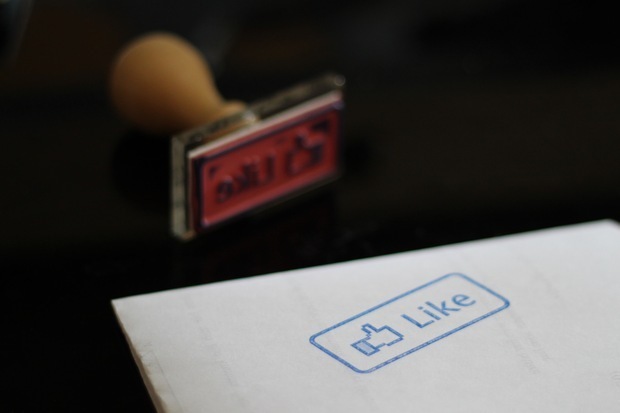 "Like Stamp" by "Denis Dervisevic" is licensed under "CC-BY"
Our institutions are structured in a way that makes it easy to agree with a proposal, to applaud, to display enthusiasm. But it’s often impossible to object, to show dissent, or disagreement, and to voice concerns. Our digital networks are praise-driven networks. The “Like” and “Share” buttons and the ability to “favor” something signal varying degrees of approval. But social networks wouldn’t offer these buttons (and wouldn’t skip buttons to dislike or disapprove of something) unless the networks’ users, whose socialization often happened offline, embraced them. Take Google Plus, for example: the network could have easily implemented a dislike function to clearly differentiate itself from Facebook. The lack of negative feedback mechanisms suggests (despite a few short-lived campaigns to the contrary) that the pressure on the networks’ proprietors isn’t high enough. Users simply don’t care enough. The approval bias of social networks illustrates the relationship between our behavior and the internet: social networks are constructed in such a way as to complement our existing desires (even if these desires haven’t been quite as visible offline). If we look at offline networks, it becomes evident that approval is often the norm while it is comparatively more difficult to voice disagreement or disapproval. After a concert or a panel discussion, the audience can show its appreciation by clapping or stomping. The louder the noise level, the higher the approval rating. If you are disappointed or if you disagree, the norm is to clap less loudly or to remain silent. Of course there are exceptions. When fans are dissatisfied with the performance of their team during a soccer match, they make themselves heard. Disapproving whistles sometimes interrupt theater performances and provide audible evidence for the audience’s dislike of the performance. But the more “cultivated” a gathering, the harder it becomes to voice explicit disapproval. The proper conduct is to remain silent and speak up only in small groups. Approval engenders solidarity and helps group identification. Through its applause – a form of collective reaction that is obvious even to outsiders – a group shows its cohesion, its unity. Approval can thus be seen as a mechanism for demarcation. Those who refuse to participate in the ritualistic applause or who disagree to strongly with a performance don’t attend. If an outsider suddenly finds himself inside such a group, he will often perceive it as homogenous: applause drowns out differences in opinion and leads to a view of the group as a unified entity. On a societal level, the consequence of this process of intra-group harmonization is the increasing separation of conflicting opinions. In the end, those whose opinions differ gravitate towards opposing groups. These groups define themselves through internal approval and through their opposition to each other. The gap that divides them often seems unbridgeable. The heated discussions and shitstorms of online networks don’t contradict this trend. Shitstorms are usually directed against members of one’s own group whose personal identity diverges from the identity of the group and thus puts the ideal of homogeneity into question. The shitstorm is a tool for the perpetuation of homogeneity: individual dissent is either curbed (and brought back into lockstep formation) or the dissenter is excluded. The shitstorm even illustrates our propensity to voice approval: most participants of a shitstorm simply like and share statements of outrage with which they agree. Should the internet provide more opportunities for the voicing of dissent? That proposal misses the core of the problem. Dissent is only useful when it is exercised and accepted as part of a discussion. As long as we fail to embrace dissent offline, as long as we say “nice” and “great” while criticizing others and their performances behind their backs, programmers must not even bother to introduce dislike buttons online.